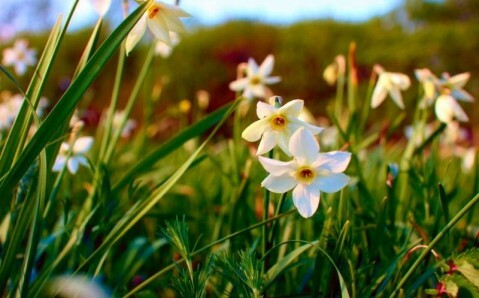 Every spring, the unique Narcissus valley blossoms out in the little ravine Kireshi, located near Transcarpathian town Khust. The tourists from all over the world head toward here to admire such a wonderful show. 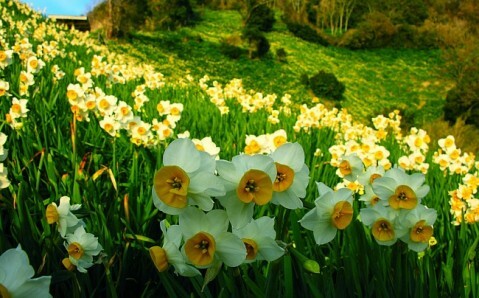 The relict valley is reckoned to be linked to the one of the latest Ice Ages when the large earth layer rich in daffodil seeds fell from the Carpathian Mountains. The propitious climate of protected ravine turned this piedmont zone into the unique reserve. During Austro-Hungary epoch, the valley was strictly protected. Nevertheless, its territory was considerably reduced due to agricultural activity of Soviet authorities. Only in 1980s, the valley was joined to the Carpathian National Natural Park and it is under protection again. This place is rich in legends. The one affirms that Ancient hunter, Narcissus, saw his reflection in the river, fell in love with it and died of depression. 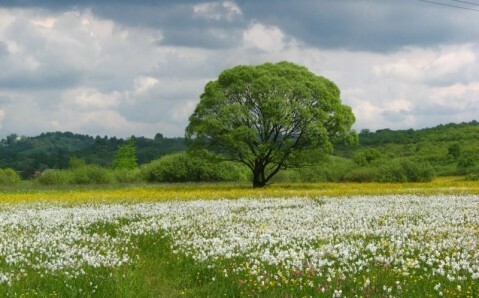 The place of his death was later covered with flowers, named in his honour. The other saying about the appearance of the stunning nature place goes that once the Khust Castle was home the prince, his wife and their daughter Rusya. During her coming of age feast, the every citizen decided to show their respect by giving a present. One of them was a potter, Ivan. 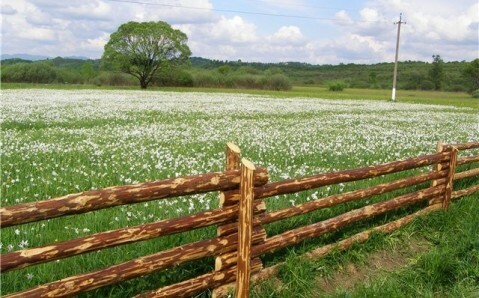 He gave Rusya a vase, covered with glittering lifelike white flowers. The moment they saw each other, they desperately fell in love and secretly started to go out. Upon learning of the secret love of his daughter, the prince threw Ivan’s vase from the top of the mount. It broke into pieces, covering the toe of the mountain. 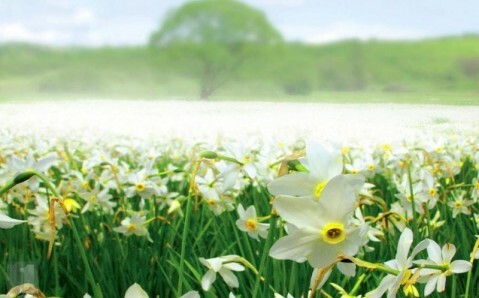 On the next day, the white daffodil valley appeared. 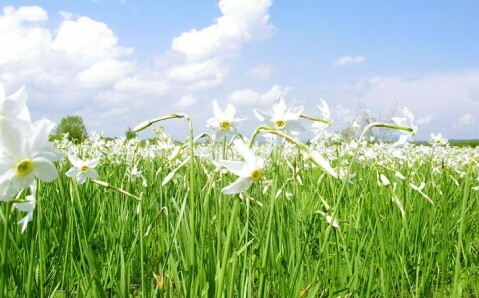 Depending on climatic conditions, the blossoming peak of the Narcissus Valley falls on the middle of May.